The Kwara State House of Assembly, on Saturday raised the alarm over alleged plot by the Nigeria Police to use the eight suspected human parts dealers it transfered from the state to the police headquarters in Abuja as instruments of political victimisation. The House said it had it on good authority that " the Nigeria Police is preparing to force some of the suspects to implicate prominent clerics and top politicians in the state in the matter." Addressing a press conference in the Assembly complex yesterday, the chairman of the House committee on Information, Hon. AbdulRafiu AbdulRahman added that " our suspicion is premised on the likelihood of this matter going the way of Offa robbery saga that was turned into an avenue to with hunt perceived opponents or political enemies. " AbdulRahman lamented that despite the media hype that trailed the public presentation of the Offa robbery saga, the suspects have not been charged to court anywhere. He added: " While this press conference is not intended to dissuade the Nigeria police from performing its statutory duty, it must be reiterated that the law enacted by the Kwara state House of Assembly on human trafficking is sufficient to try the suspects and convict them accordingly if found guilty. "To use the suspects as instruments of political victimisation or to assuage the whims of some people will be very unfortunate.
" We therefore urge the Nigeria police to arraign the suspects before a competent court of law as prescribed by the State Law without further delay.
" I wish to reiterate that we are not averse to police doing their job, but we suspect foul play anytime criminal suspects are transferred from this state to the police headquarters. The phenomenon is becoming too often only with regards to Kwara state to call to suspicion the police action. " 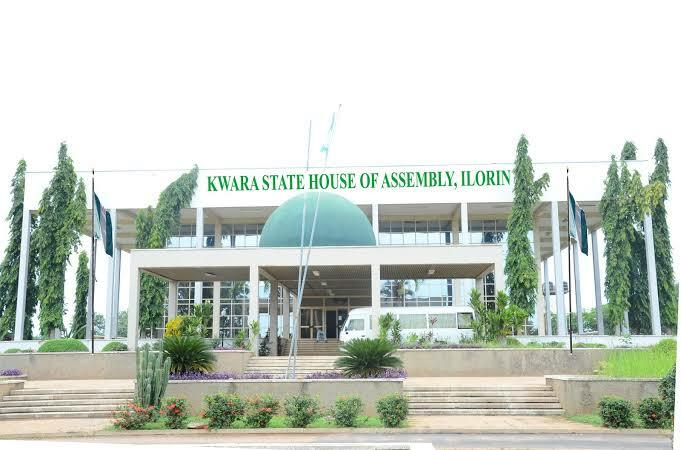 Answering a reporter's question, the Assembly's spokesman said Kwara boasts of the most comprehensive law on the issue of dealings or trafficking in human parts.
" Kwara state prohibition of dealing in human parts law 2018 is the most comprehensive law on the subject matter in the country as it provides stiffer penalties as offenders on conviction is liable to a term not less than 10 years but not exceeding 15 years and also a fine of N100,000, while accomplices such as any person who permits his property or premises to be used to commit the offence is liable to imprisonment for a term not less than five years but not exceeding 10 years," he stated. It is recalled that the Kwara state police command, had during the week transfered eight suspects arrested with 11 human skulls in Ilorin, the state capital to the police headquarters in Abuja.